A supplementary angle is the angle when added to another angle and creates a sum of 180 degrees, which is effectively a straight line. Many proofs requiring finding interior or exterior angles given an existing measurement, and practicing the basic arithmetic using these worksheets will make more advanced problems seem easier to solve. 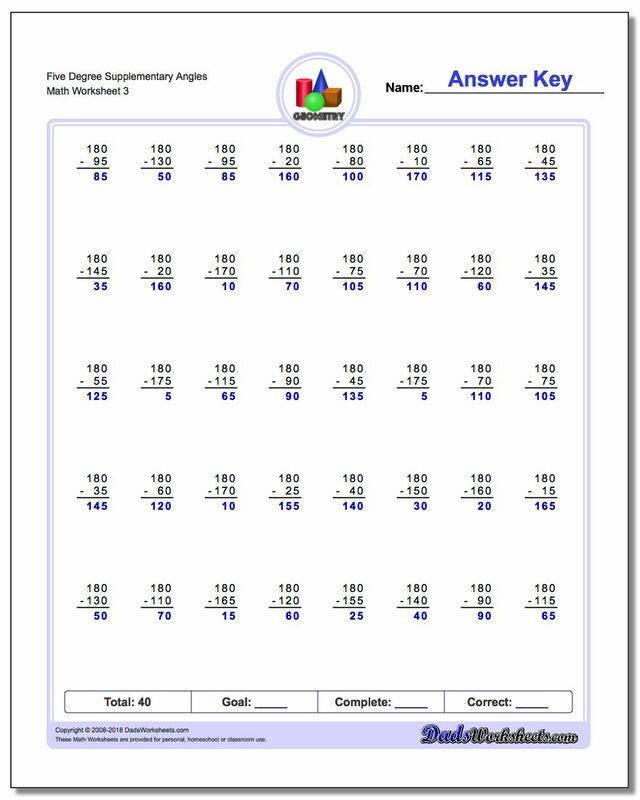 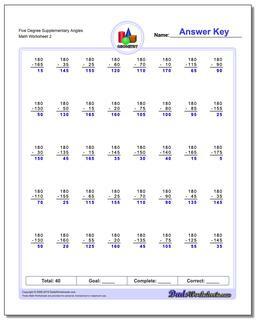 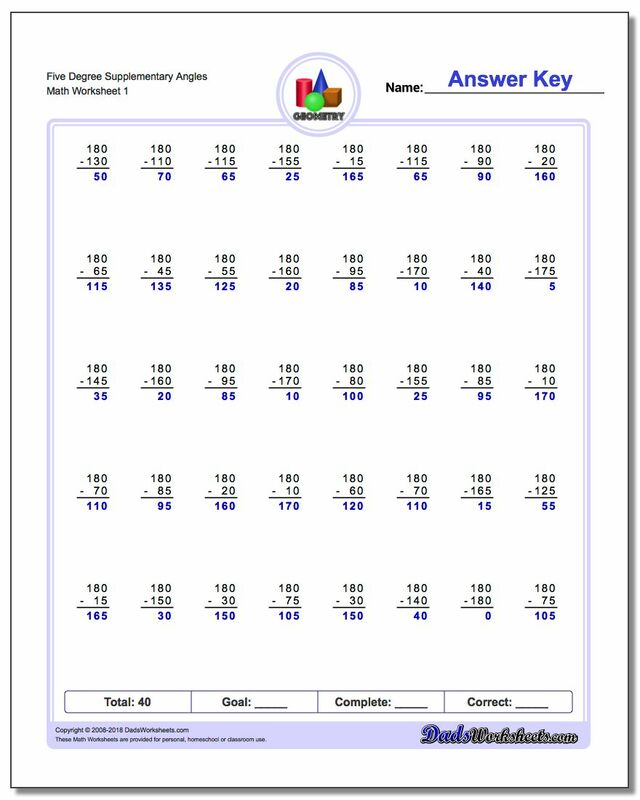 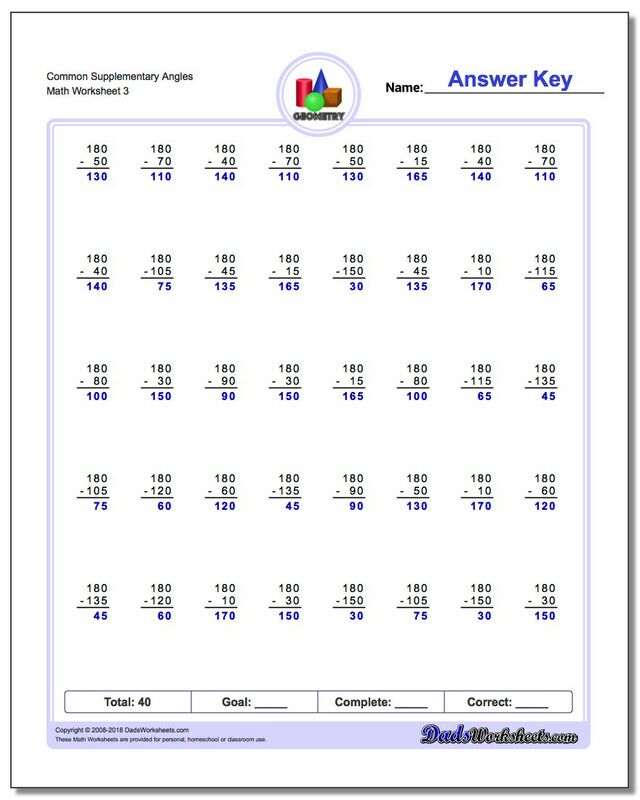 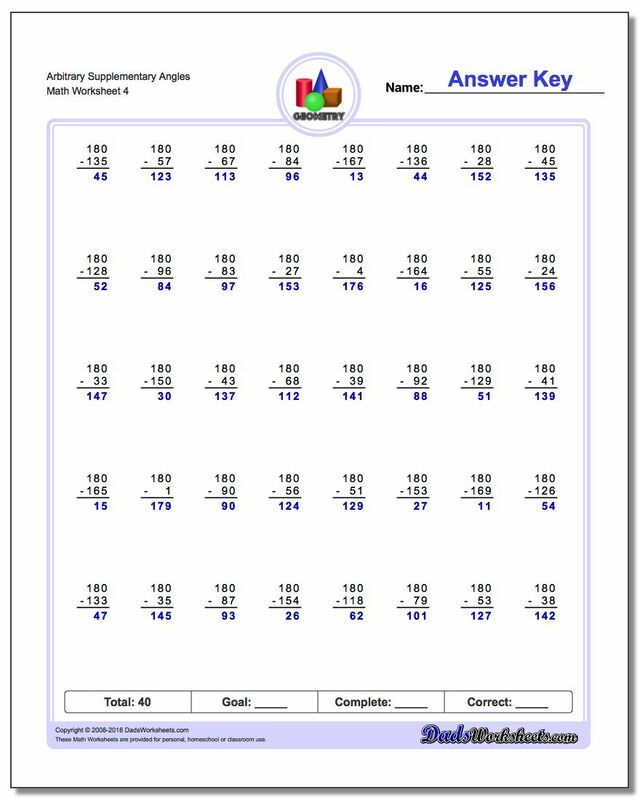 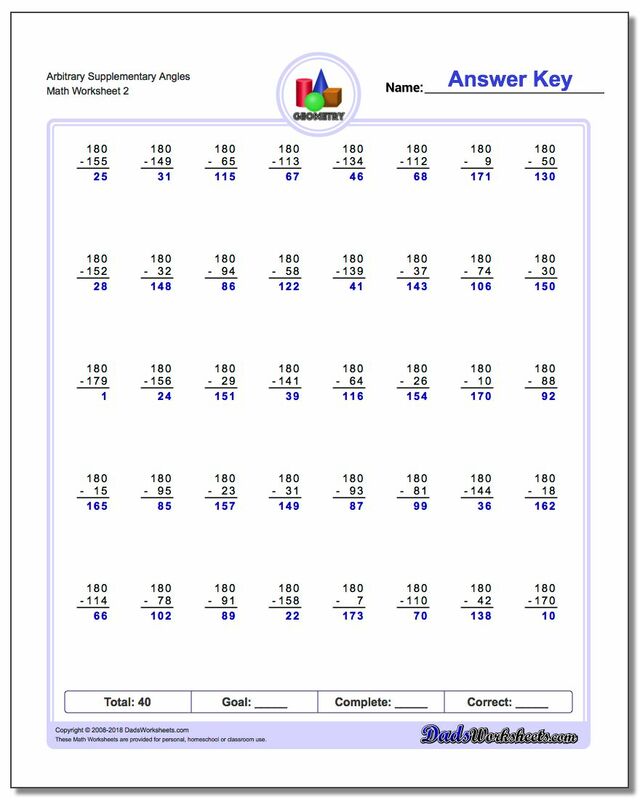 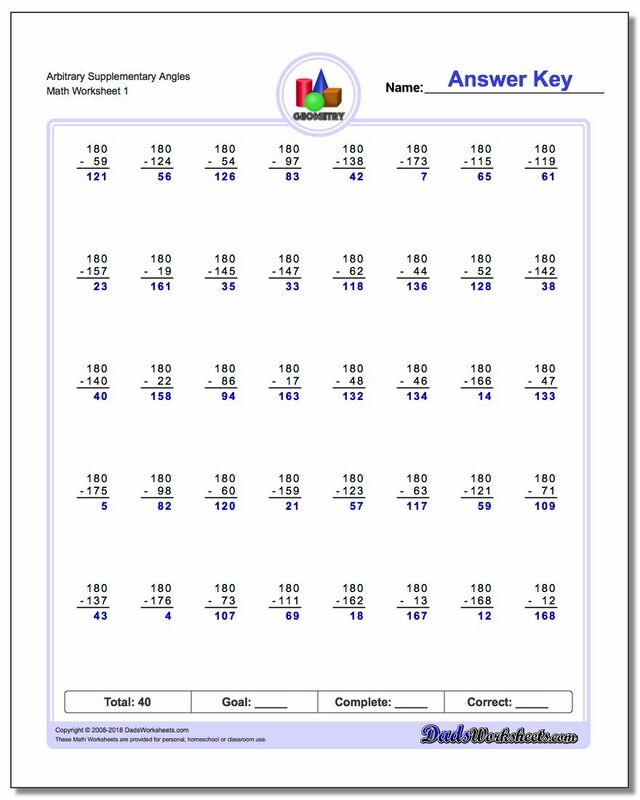 The first set of worksheets here deal with very common supplementary angles that are multiples of 10, 15 and 30 degrees. 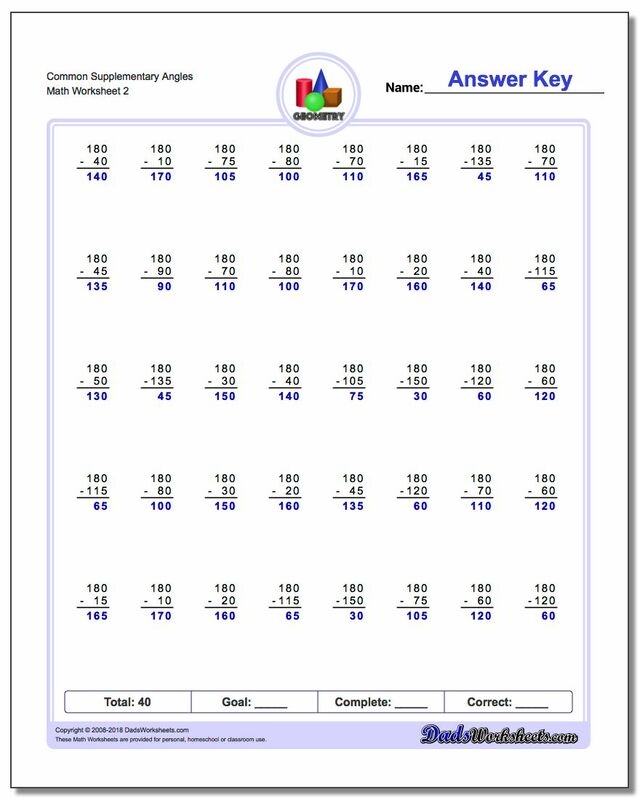 The second series deals with finding supplementary angles measuring in 5 degree increments, and the final set of worksheets requires supplementary angles to be determined from an arbitrary degree measurement.